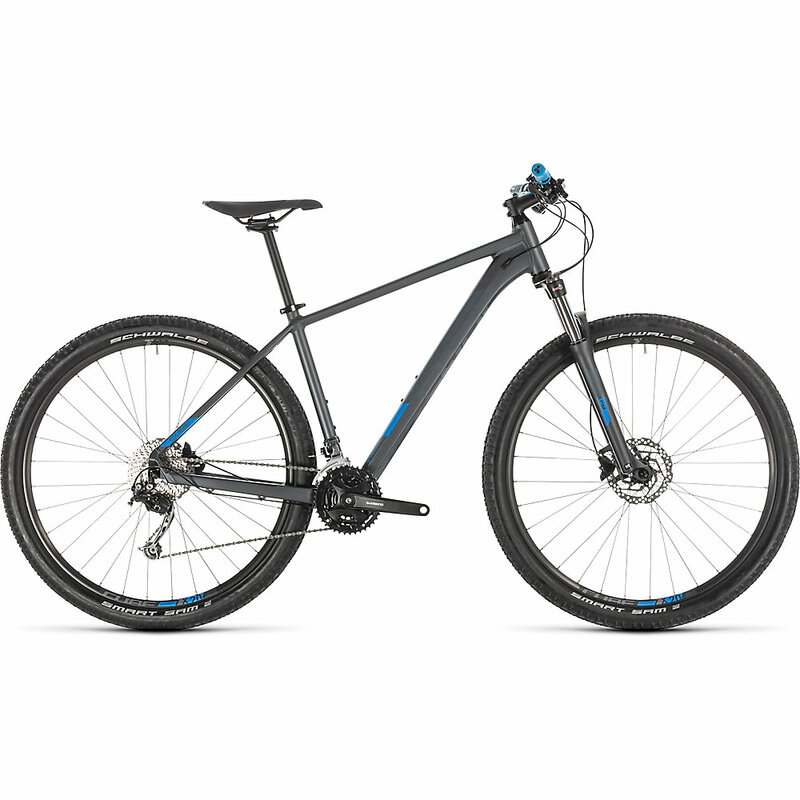 If you are considering a good mountain bike to help you get started, then the Cube Aim will prove to be a good teacher. This hardtail bike weighs between 13 and 14 kilos. Its frame is made of aluminum. This is certainly one of the cheaper hardtails on the market. One of the things that drew us to the Cube Aim was its rather reasonable pricing, particularly for its brand. On the surface, this hardtail looks quite well put together. The frame looks sound and so do all of its other components. In fact, were you to judge the Aim simply on its looks alone, you would assume that it would cost a great deal more. This, is largely because some of the design and features on this bike have been based on Cube series that are considerably more expensive. Satisfied with its overall appearance, we decided to take it out for a test ride. We started out with some gentle trails. Here, the Aim performed quite well, overcoming the minor interruptions with very little complaint. We were not overly impressed with the handling however, as it felt a little shaky for our liking. We then headed to a more treacherous trail. It was here that the flaws of the Aim really began to reveal themselves. This is because, after all, the Aim truly is a bike that is meant for beginners. Anything more punishing and the bike is unable to function all that well. This lends to the idea that this is very much a learner’s bike, through and through. However, if you get the hang of trail riding quite quickly, you will find yourself outgrowing the Cube Aim. To sum it all up, the overall structure and design of the Cube Aim is quite impressive. This is especially true when you consider just what you are getting for that very reasonable price tag. Nonetheless, you cannot really hope to get very far with the Aim. The Cube Aim is targeted towards beginner riders who are trying to get a handle on mountain biking. The Cube Aim is an affordable option if you want to see whether or not you are really interested in mountain biking. Beyond that, it may fall a little short.